LECANTO, Fla. -- A Florida woman has been accused of taking methamphetamine and driving a motorized shopping cart through a Wal-Mart while drinking wine and eating sushi and cinnamon rolls. 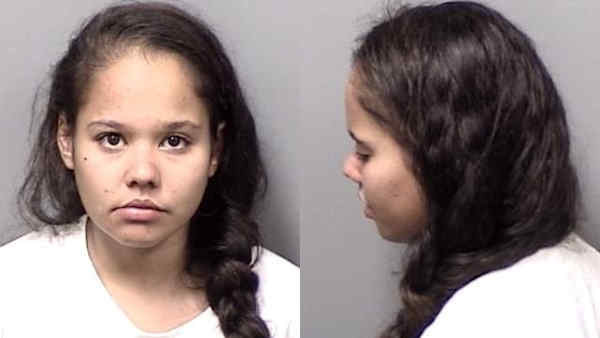 According to a Citrus County Sheriff's Office arrest report, security officer Robert Gross observed 25-year-old Josseleen E. Lopez consuming $32.36 worth of food and wine inside the Lecanto store. Gross says he watched Lopez open some sushi, eat a piece and then put it back on the shelf. He says Lopez did the same thing with a package of mini muffins and cinnamon rolls. He says Lopez also ate most of a rotisserie chicken. Lopez told authorities she was homeless and hungry and had just injected herself with methamphetamine. She was arrested on charges of retail petit theft and possession of drug paraphernalia.